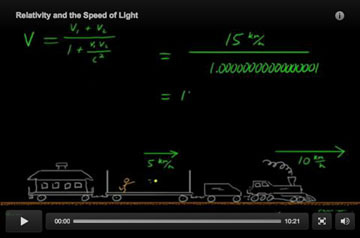 Click above to watch an alternate video on the addition of velocities. And below for the Hewitt-Drew-It screencast! Examples of adding velocities near that of light. Duration: 4:19.